A quarter of the 2015 NFL season is officially in the books. Unfortunately, an entirely different book -- dedicated solely to injuries -- could also be penned and published as a number of standout players have succumbed to ailments across the league. With three quarters still to come, the list is unlikely to shrink. 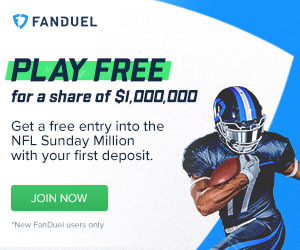 Therefore, we'll be keeping you up to speed as best we can in regards to the plethora of injuries as they pertain to the league's 32 franchises, and most importantly, your fantasy football squad. The games come thick and fast, and so do the injuries. As they begin to mount on your team, it can be way too easy to let yourself crumble under the muck, but it's important to stay composed and positive with so much football still to play. Remember: the Colts and Texans will release their initial injury reports on Tuesday, while the teams playing on Sunday will publish their injury reports on Wednesday. - Andre Ellington may finally make it back onto the field in week 5. Coach Bruce Arians said that his running back was "close" to playing against the Rams on Sunday, but was ultimately withheld. Chris Johnson and rookie David Johnson have performed admirably in Ellington's absence, and if he does play this week, the 26-year-old would likely be limited as he eases back into the mix after hurting his PCL in week 1. Down the road, a healthy Ellington should return to a more featured role in the offense, but he always seems like an injury waiting to happen. It may be a wise idea for Ellington owners to roster one of the two Johnsons. - Ravens' WR Steve Smith Sr. is dealing with painful injuries to his back and ribs. Smith left his team's win over the Steelers last Thursday after taking a big hit to his back in the fourth quarter. It's sounding like the veteran will miss a couple of games, if not more. He can definitely be ruled out for week 5, and he'll almost certainly be considered week-to-week from there forward. Kamar Aiken and Marlon Brown will absorb more work while he sits and recovers. Meanwhile, TE Crockett Gillmore (calf) has a chance to play in week 5 against the Browns after missing week 4. Gillmore was replaced in the lineup by Maxx Williams and Nick Boyle against the Steelers. The Ravens will hope that a few extra days off will help their second-year tight end return to face Cleveland, but will play it carefully. Calf injuries have been running rampant throughout the NFL this season. 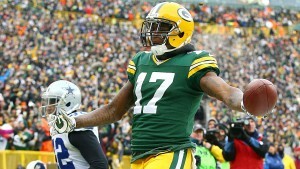 Davante Adams (ankle) missed week 4 for Green Bay. - Sammy Watkins and LeSean McCoy were both missing for Buffalo in week 4, and both players are facing an uncertain status for week 5 as well. McCoy (hamstring) is reportedly looking at a multi-week absence, while Watkins(calf) is looking questionable at best for week 5. Watkins was unable to practice last week, so his name will definitely be one to monitor when the injury report is released on Wednesday. While McCoy sits, Karlos Williams springs into fantasy relevance as a low-end RB1. - The Cowboys suffered two devastating injuries in Sunday's loss to the Saints as both Lance Dunbar (torn ACL) and Sean Lee (concussion) were forced from the game. Dunbar, an important element of the team's passing game, will miss the rest of the season, while Lee -- who just can't by any luck with injuries -- will find himself in the league's concussion protocol this week. Already without Tony Romo and Dez Bryant, Dallas will try to regroup and rebound against the Patriots in week 5. - Demaryius Thomas is said to be fine after suffering a neck injury in Sunday's win over the Vikings. Broncos coach Gary Kubiak said his playmaker was sore after the game, but did not express any concern over the 27-year-old's week 5 status. Demaryius put together a 9/93 line against Minnesota in week 4. - Brian Hartline had a rough day on Sunday in San Diego as he picked up injuries to his ribs and thigh. The 28-year-old, who had just 1 catch for 7 yards against the Chargers, left the game for X-rays and did not return. His week 5 status is unknown at this point. - Jay Cutler was able to return from his hamstring injury against Oakland in week 4, but top target Alshon Jeffery remained sidelined for the third straight week. Jeffery was able to return to practice in a limited manner last week, so the 25-year-old is ostensibly trending in the right direction as far as week 5 against Kansas City is concerned. - Davante Adams missed the Packers' week 4 win over the 49ers with the ankle injury which he originally picked up in week 3. Adams, who went on to re-aggravate the injury in week 4, says he plans to play it safe and smart with the ailment, so his week 5 status is certainly unclear as of now. Rookie Ty Montgomery has been filling in for Adams. - Lions' TE Eric Ebron left his team's Monday night loss in Seattle with a left knee injury. Ebron, who caught 2 passes for 22 yards before going down, injured the knee while blocking. His status will be updated this week. RB Joique Bell missed the game with an ankle injury, and the 29-year-old faces an uncertain week 5 status as he continues to heal. In the meantime, Ameer Abdullah will continue to see the bulk of the backfield work. - Nate Washington (hamstring) and Cecil Shorts III (shoulder) were both injured during Houston's week 4 loss in Atlanta. They both face an uncertain week 5 status, particularly Shorts, whose injury is said to be more serious than not. The good news for Houston was that Arian Foster (groin) was able to make his season debut on Sunday. - After missing his team's week 4 win over Jacksonville, Andrew Luck (shoulder) seems likely to play in week 5 against Houston. Coach Chuck Pagano said that Luck looked "pretty good" in Monday's light practice ahead of their Thursday night matchup with the Texans. 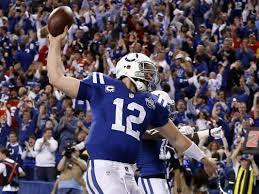 Additionally, the Indianapolis Star reports that "it's pretty clear" luck will play. Reportedly dealing with a partially separated shoulder, Luck's return will be a boost to the Colts, as they look to get their season on track after a sputtering start. TE Dwayne Allen (ankle) is still uncertain for week 5. - Vikings' wideout Charles Johnson (ribs) missed week 4 at Denver, and his status beyond his team's week 5 bye is uncertain. Johnson was unable to practice last week, and his availability for week 6 will depend on his ability to operate within the confines of the painful rib injury. Andrew Luck is looking much more likely to play for the Colts in week 5. - Victor Cruz (calf) missed week 4, and after some initial optimism, the wideout still faces an unclear status for week 5 and beyond. Cruz recently underwent a platelet-rich plasma (PRP) treatment on his nagging calf injury. Cruz is way off the fantasy radar at this point, and New York has been considering its options at the position behind Odell Beckham Jr. and Rueben Randle. - The Chargers' receiving corps took a hit as both Malcom Floyd (concussion) and Stevie Johnson (hamstring) were forced from their game with Cleveland. Floyd will be landing in the league's concussion protocol, while Johnson will be glued to the treatment table this week if he hopes to participate in week 5. Working in both players' favor is the fact that the Chargers play Pittsburgh on Monday night, giving them an extra day to rest and recover. - Marshawn Lynch (hamstring) missed the Seahawks' week 4 game against Detroit. Lynch was unable to practice last week, and his week 5 status is uncertain. Fred Jackson and Thomas Rawls will remain in the mix while he sits. TE Luke Willson also missed his second straight game with a back injury. - Browns RB Duke Johnson briefly exited his team's game against the Chargers on Sunday with a leg injury, but was able to return. Johnson came alive in the passing game in week 4, catching 9 balls for 85 yards and a touchdown. - 49ers' TE Vernon Davis missed week 4 with a knee injury, and is still considered day-to-day. He is reportedly dealing with a deep bruise, but no structural damage to the knee. San Francisco plays the New York Giants in week 5. WR Quinton Patton was forced from the niners' loss to Green Bay on Sunday with a concussion, and his status is also unclear. - Rams' wideout Brian Quick made his long-awaited return from injury in week 4, but played just 6 snaps. Seemingly over his shoulder injury, Quick's role should grow week-to-week, as he looks to slot into the pass attack with new QB Nick Foles at the helm. - Stop us if you've heard this one before: Jordan Reed is hurt. Again, stop us if you've heard this: Jordan Reed has a concussion. Adding further insult to injury (literally), Reed also hurt his knee and ankle in Washington's week 4 win over the Eagles, leaving his week 5 status uncertain. His team's leading receiver with 24 receptions and 278 yards, Reed's latest injuries come at a tough time for the upstart Redskins, with a tough matchup looming in Atlanta in week 5. Meanwhile, DeSean Jackson (hamstring) could practice this week per coach Jay Gruden. Jackson has been missing since week 1, and if he can practice without setbacks, the 28-year-old will have an outside chance of making his return against the Falcons on Sunday. Remember: keep an eye out for the official injury reports as they are released throughout the week. Good luck in week 5.